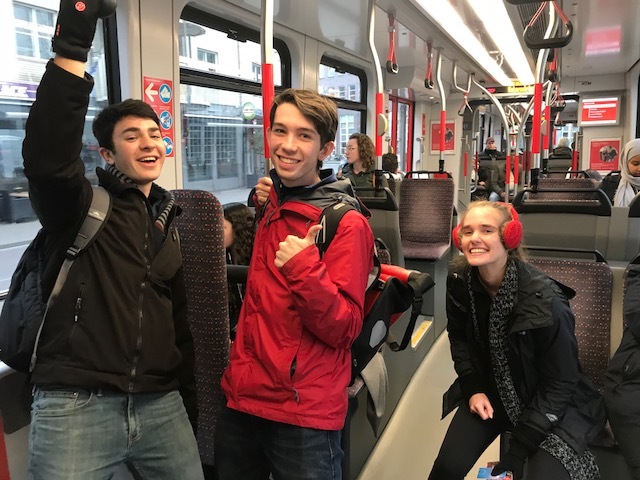 After spending 7 days in the Netherlands, it has become very clear how integral the transit system has become to the functionality of the whole country. This includes large and fast intercity trains to get across the country, localized regional trains and trams to get between districts, and metro systems in large cities to get across the dense districts. Investment in the train system has allowed for a decrease in automobile use at all levels across the country. The key to such an effective bicycling system in the Netherlands is the connectivity to transit lines throughout the transit network; this ranges from the largest stations in Den Haag and Utrecht to much smaller local ones. 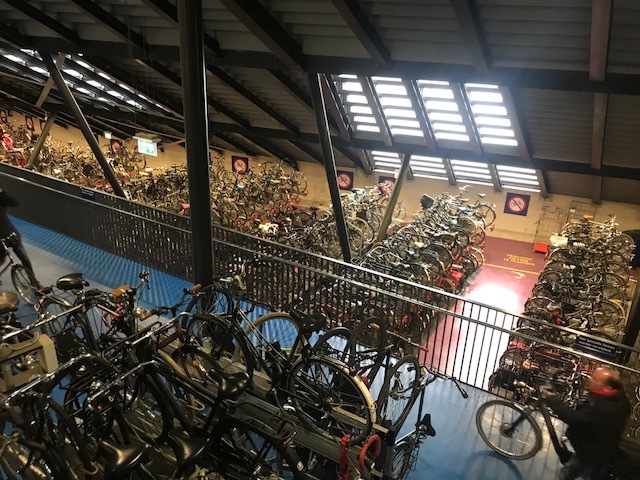 Every transit station has bicycle parking located right next to the station, including small outdoor parking zones to massive decks comparable to automobile parking decks in the US. 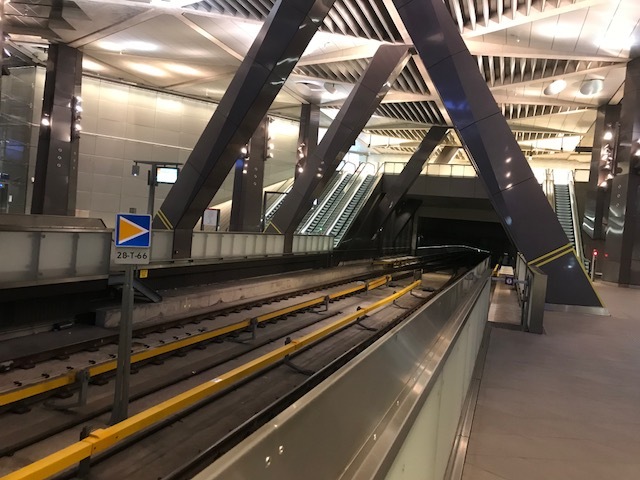 Delft station holds close to 7,000 spots with additions coming soon. Den Haag is currently working on a massive expansion to hold around 9,000 bicycles. Utrecht central station has by far the largest with 12,000 bicycles. Getting to the bike parking stations is so easy and user-friendly. Bicycle paths lead you right to the parking areas and many stations are equipped with sensors that tell you how many spots are available in each row. For the locations we traveled to, bike parking is completely free for all users within a limited time period; this is quite useful for day trips and getting between towns. If you don't want to park your bike before entering the train station, bicycles are generally allowed on board the trains, although with some limitations. A special ticket that costs more is required, only certain train cars allow it, and there are restrictions during rush hour. 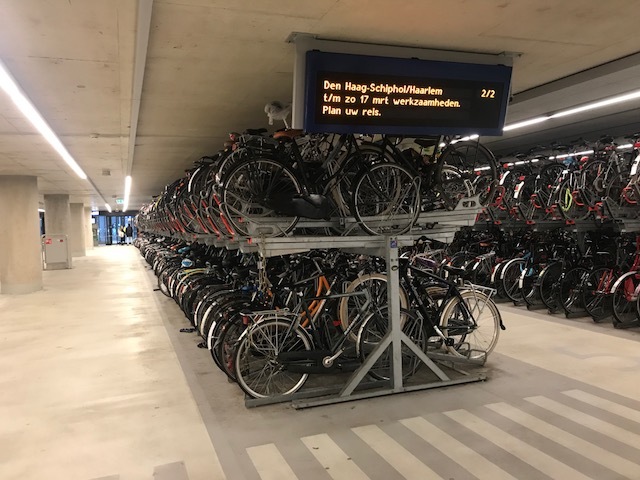 In general, the Dutch are trying to maximize capacity on the trains, so these limitations are an incentive to use the bike parking stations; therefore it is preferred you either have bicycles in multiple locations or rent bikes with the OV chipkart. This is quite different to the approach taken in the United States, especially in Atlanta, where bicycles seem to be allowed and encouraged on transit, especially the bus systems. This is likely because the success of both the growing cycling and transit networks are intertwined. 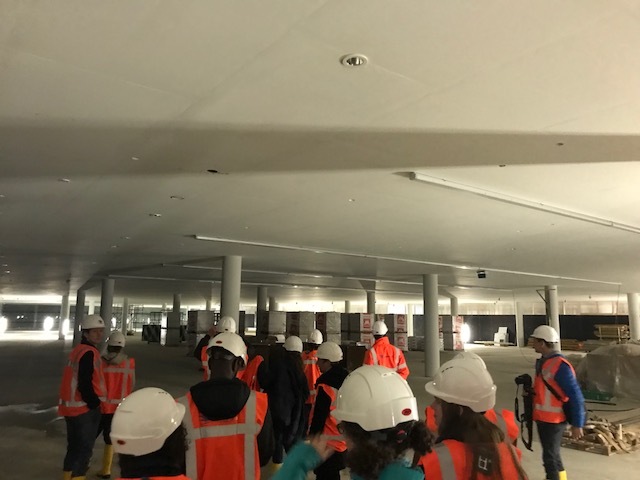 Transit effectiveness and performance can be quite difficult to measure, especially when many facilities are growing at rapid rates. On the user side, the best metric is ridership; this goes beyond just higher numbers, but instead where people are actually traveling and how they get there. 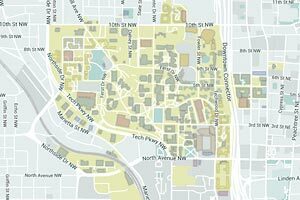 Understanding of this relationship is vital in transit projections and planning. Total trip time is another important metric; optimization of trip time allows for more people to cycle through the system faster. In Amsterdam, the addition of the North-South rail line improved trip time from 25 minutes to 15 minutes, a massive achievement. On time arrival percentage is another performance measure that tells a lot about the efficiency of the system in real time; if vehicles are arriving late, not only are there repairs and improvements needed, but the public will have a stigma about the transit and decrease ridership. This is why timely arrival percentages are absolutely vital.